Hehr 526 Series Storm Windows. 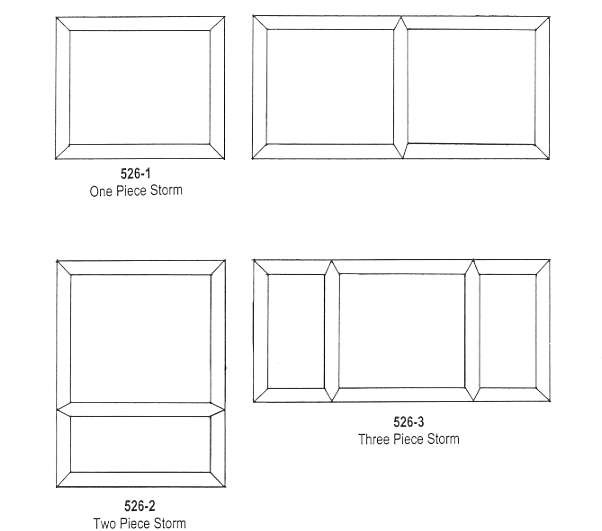 Model 526-1 is a one piece storm window. Model 526-2 is a two piece storm window. Model 526-3 is a three piece storm window. Storm windows are an add on package for the 4900 series windows that provide superior secondary weatherproofing when Hehr deluxe innframes are used. Medium duty aluminum construction. Safety glass standard in clear. Light grey, dark grey or obscure are available. Innerframe required for mounting. Storm windows are ordered according to Hehr par number on window to be retrofitted.